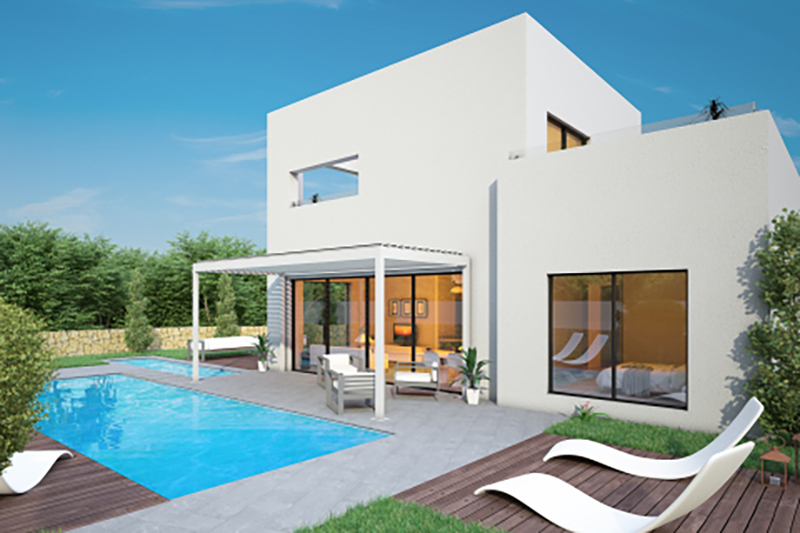 Orquidea is a new community at Las Colinas that offers a selection of new stylish 3 bedroom, 2 bathroom villas. 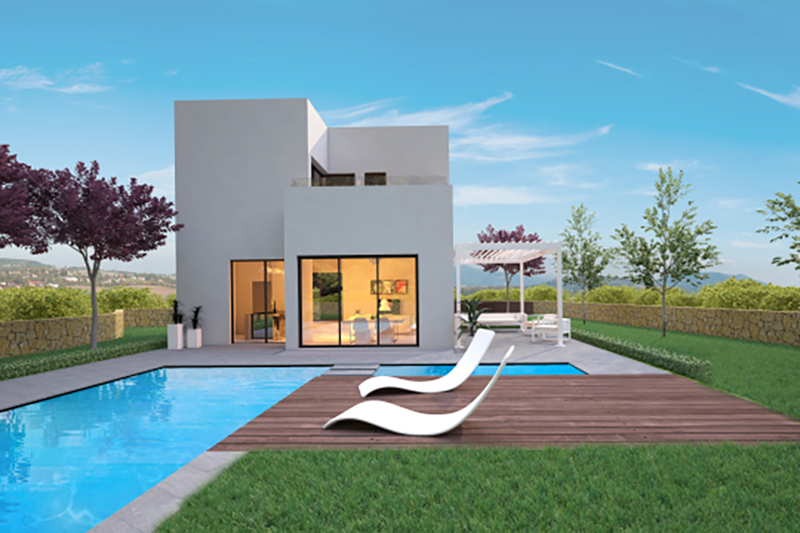 Jilguero Villas boast impressive swimming pools and private parking with high quality fixtures and fittings throughout, including smart home system. 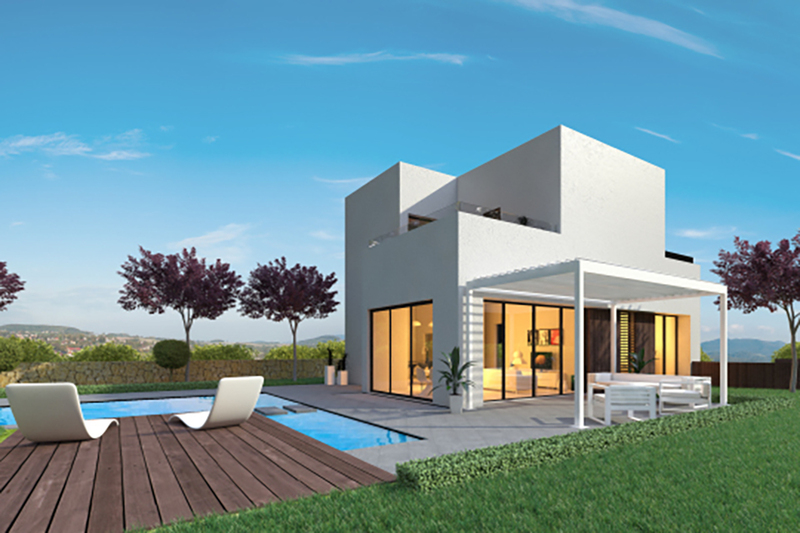 These Jilguero villas have just been released and are providing you the opportunity to choose the plot of your choice. Entering the Jilguero villa you will find a spacious open kitchen, dining area and living room. Also two double bedrooms, a bathroom and a staircase to the first floor. From the living and dining area you have direct access to the terrace. On the first floor you will find the master bedroom with en-suite bathroom. Furthermore you will find two terraces on the first floor. The Jilguero villas come with their own huge private swimming pools. 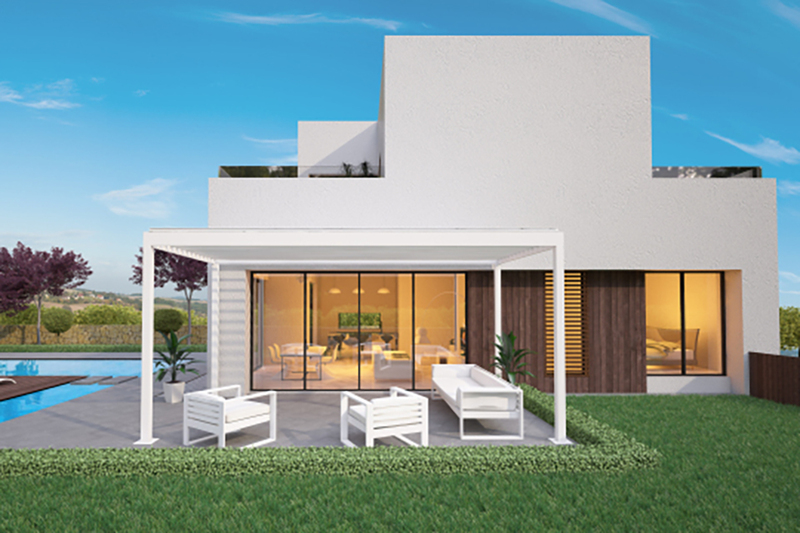 The Jilguero villas are 125 m2, while plot sizes vary from 509 to 687 m2. The villa comes with lots of extras as standard. 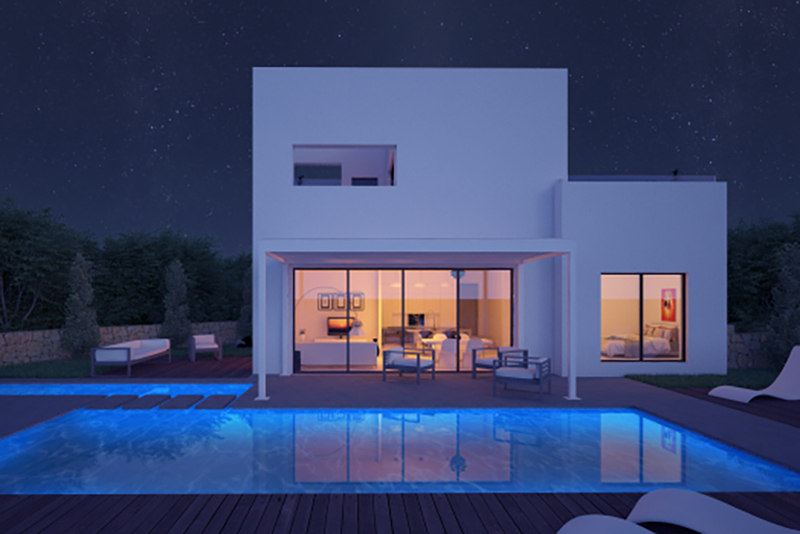 Apart from the huge private swimming pools, also included are white goods, smart home system, electric blinds in the bedrooms, underfloor heating in the bathrooms, air zone, lightning package and much more.